Politicians have been out there bashing banks again with CBA’s announcement of a record $9.45 billion profit. Of course if the bank keeps up with inflation it will be a record, and because it’s a big company it will be ‘fat’. The table in the AFR gives the profit as $9.247 billion as against $9.084 billion last year. The true measure is in net earnings per share (eps) which came in at 542.5 cents, actually down from 553.7 cents last year. That’s a drop of about 2%. The final dividend was maintained at $2.22 per share, so shareholders breathed a sigh of relief that it didn’t go down. The Greens renewed their call on Wednesday for a royal commission as well as their proposed tax on bank–- a “Too Big to Fail Levy” of 20 basis points on bank assets in excess of $100 billion – which would raise $15 billion during four years. They should look at toll road operator Transurban, which is expected to grow eps by 47% over the next three years, or other companies showing similar growth such as blood products group CSL, but the pickings would not be as great because they are smaller. A healthy economy needs profitable banks. Banks share prices were down on Thursday because because “revenue growth is under considerable pressure”, “dividend sustainability pressures have increased” and “asset quality is now on a deteriorating trend”. The latest guidance I have shows ANZ’s 3-year growth forecast at -1.7% and Westpac’s at -6.2%. At present prices both would be offering a yield of over 6% fully franked, but analysts are questioning the banks’ ability to maintain dividends. If that is bad for me it will be bad for your super fund and bad for the country. Outgoing Reserve Bank governor Glenn Stevens, whose rate cut was designed more to protect the dollar than stimulate growth, indirectly backed the banks, saying the RBA had not anticipated that the banks would pass on the full 25-basis-point cut. Since the rate cut the dollar has been rising. The Reserve understands how banks get their money and what they pay for it, but monetary policy doesn’t seem to work any more. Meanwhile none of the above should be taken to mean I support some of the practices of banks, or that we shouldn’t have a royal commission. If we do, along the way politicians too might learn some of the basics about bank profitability. Banks on their side might come to understand why such a well of resentment has built up in the community about how they operate. Banks have been an amazing growth and profitability story over the last 15 years, and only had a temporary setback during the GFC. For example, the Commonwealth Bank floated in 1991 at $5.40 per share. Now they are worth about 14 times that and pay a dividend of over $4 per share each year. Along the way banks have invented new ways of screwing money out of the system, at times ruthless and unethical. However, the current investment metrics paint a different and concerning future. 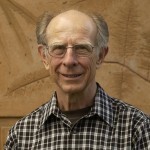 We need a change of culture from the banks, but we need also not to damage them by taking a ‘dividend’ that isn’t there. This post started as Saturday salon item, but got out of control. Not entirely happy with it, but there it is. watched the Broncos tonight get their season back on track and have to work tomorrow, so SS will not be out until Saturday night at earliest. 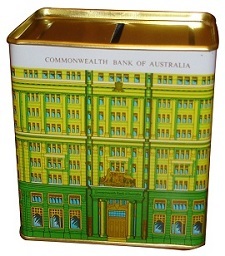 That Commonwealth piggy bank tin is an Australian icon. Good to see it again, Brian. It carries a lot of memories with it. You para 2 needs some decimal points, Brian. Fixed, thanks BilB. I’d taken it from the AFR table, but of course they had the necessary zeros at the head of the column. Bob Katter never uses “billion”, always “thousand million”. Quaint but unambiguous. He’s probably talking to his constituents that know what a million buys, that have very rarely used billion. I think it adds clarity rather than detracts from it. I prefer to think of billions by its factors. 10,000 times 100,000. 100,000 buys a fair bit of Computer Numerically Controlled equipment. Then I think of 10 thousand of those. That is a lot of productive power, but I doubt that there would 10,000 such machines left in Australia. Tony Abbott cleaned out a huge number of them by demolishing the car industry. I’ve got four and the factory next door has seven. Not a lot of us left though. The next time you see a new multi billion dollar motorway opened up, imagine all of the lanes loaded up with CNC precision machines edge to edge each weighing 3 tonnes. That is what the same money would have bought in productive machinery. Instead we build overpriced roads. In British English, a billion used to be equivalent to a million million (i.e. 1,000,000,000,000), while in American English it has always equated to a thousand million (i.e. 1,000,000,000). British English has now adopted the American figure, though, so that a billion equals a thousand million in both varieties of English. I’ll leave you on whatever tangent you’re on BilB. Phillip Coorey reckons reality has been sidelined with cheap politicking. was a thinly veiled criticism of Labor. He believes now the campaign is over, Labor, as the alternative government, should be start acting like one and leave the shenanigans to the Greens and the populist cranks in the Senate. “Hot tip: don’t play the victim in a f…ing pinstripe”. The more the banks take on Labor, the more Labor likes it. Not because it has a particular set against banks, but because it’s easy politics. A pity that Labor spokespersons seem to reach back to the anti-bank rhetoric of the 1920s and 1930s. Yes the Depression was a terrible time of hardship and repossessions etc took a heavy toll. But banking, finance, share ownership, social security, superannuation etc are vastly different now, aren’t they Mr Shorten? To be fair, Bank Bill joins a long line of populist preachers. Every time BHP announced a profit you could count on RJL Hawke to reach for his thesaurus and find “obscene”. I support the suggestion of a Royal Commission into all the banks (not just the four pillars of wisdom).